L&Q is launching the next phase of Shared Ownership homes at Quebec Quarter - the housing association’s flagship development in Canada Water. Helping first time buyers get on the property ladder in an area where property prices have risen by 46% in the past five years*, the new release of 15 one bedroom Shared Ownership homes will provide achievable city living for young couples and professional singles. Designed by Alan Camp Architects, Quebec Quarter comprises of seven distinct stepped blocks, finished with composition of brick, GRC and timber cladding, a nod to the adjacent, Russia Dock Woodland and award winning Stave Hill Ecological Park. The carefully considered layout has been created to promote a strong sense of community, with over 65% of the total site area dedicated to green and outdoor space – including landscaped grounds, play areas and a cross site path leading directly to the next door woodland. Inside, the spacious Shared Ownership properties come with a high level of specification. All homes feature modern kitchen units in a contemporary colour palette with co-ordinating cinammon worktop, stainless steel splash back and upstand along with a plethora of fully integrated appliances. Bathrooms have a range of pristine white sanitaryware. Hallways and living spaces have quality laminate flooring and bedrooms are carpeted, with fitted wardrobes in master bedrooms. Floor to ceiling windows allow an abundance of light to flow into the apartments, maximizing the views of the surrounding woodlands. Top of every Londoner’s wishlist, all homes come with a balcony or terrace – some of which are exceptionally large. Ideal for young buyers, the increasingly vibrant area surrounding Canada Water Underground Station offers a number of popular independent shops, restaurant, cafes and bars, as well as the iconic bronze aluminum clad Canada Water Library. A short walk from Quebec Quarter is the Surrey Quays Shopping Centre, which is set to become a shopping mecca when a £34 million redevelopment programme is completed within the next 5 years. 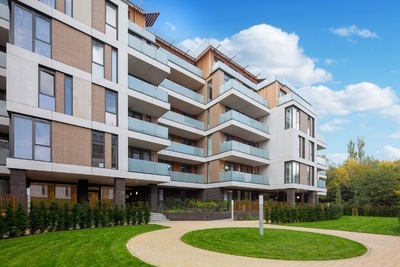 Perfectly positioned, Quebec Quarter is equidistant from Canada Water and Surrey Quays stations. Jubilee line services from Canada Water offer fast commuting times to stations in The City and the West End, including Canary Wharf (2 minutes), Waterloo (6 minutes) and Bond Street (12 minutes)**. The area is set to become even better connected following the completion of the proposed Rotherhithe Bridge in 2020 – a foot and cycle bridge connecting Canada Water with Canary Wharf, which will transform commutes to the business district for buyers at Quebec Quarter. Prices start from £121,250 for a 25% share of a one bedroom apartment – FMV £485,000. The marketing suite and fully furnished show apartments are open Monday – Saturday 10am -5pm, Sunday 10am – 4pm. Viewings are by appointment only. To register interest, visit lqpricedin.co.uk/quebec-quarter.